We invite you to join our essential San Sebastian walking tours to discover the heart and hidden corners of Donostia (San Sebastian in Basque). 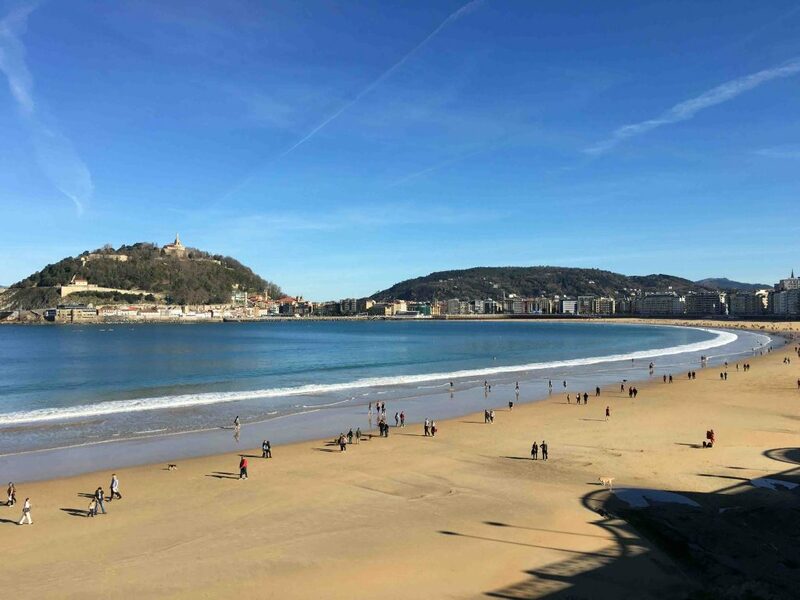 By means of a local guide, we want you to live an unforgettable experience visiting San Sebastian, the most charming city in the north of Spain. A most beautiful “seaside resort”, set around a horseshoe bay, boasting three magnificent sandy, safe, beaches which are overlooked by surrounding hills, accessed by a funicular railway; the views from the top are outstanding! In a nice and relaxed walk through the city, we will visit the top tourist attractions and points of interests in San Sebastian. We will of course talk about and taste some of the most famous pintxos in San Sebastian, delicious gastronomy bites known as ‘tapas’ in Spain. Don’t hesitate to walk the city with us, you won’t be disappointed with all things you can see and do in San Sebastian, Spain. Esther from San Sebastian brought the old city alive for my daughter and I, on a walking tour for about two hours. She pointed out interesting places and facts that we were unlikely to find in a guide book. Her program is a personal take on a city by a local. I highly recommend her in San Sebastian. This small, comfortable, self-contained/self-catering, apartment is centrally located and is ideal for budget visitors. Your knowledge and enthusiasm for this beautiful 19th city is totally obvious and cannot be faulted in any way and this was evident it the way in which you guided my. You have a very self-assured personality and with an inborn self-confidence to build a very successful tour guiding business.